Patty Griffin is one of those artists who is practically incapable of putting out a disappointing album. Such artists often get taken for granted, but Griffin’s spark and spirit is such that her music demands attention and appreciation every time out. Her newest, American Kid, proudly falls into line with the rest of her distinguished output. It is her first album of primarily original material since 2007’s Children Running Through. This time around Griffin enlists the help of Luther and Cody Dickinson of the North Mississippi All Stars, assuring that the album delivers roots music legitimacy. 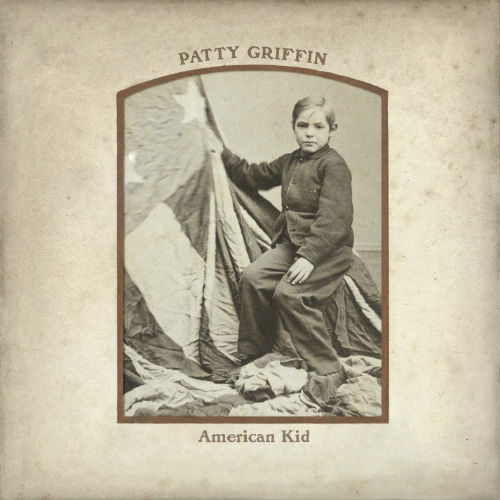 Yet there is much more than just twang to be had on American Kid, thanks in part to the contributions of Griffin’s other recent collaborator Robert Plant. Plant sings backing vocals on three songs, and the tracks on which he guests are among the most musically distinctive on the album. On “Ohio,” a tale of runaway slaves planning a rendezvous that might never happen, the droning atmosphere sounds stifling and sustaining all at once. By contrast, “Highway Song” radiates like a glorious sunrise, so when the pair sing, “I will wait for your return,” the reunion seems inevitable. Considering that Griffin wrote the album while her father was enduring an illness that would eventually take his life, it’s easy to understand why souls reconnecting through time and space would be a topic on her mind. She starts the album off with “Go Wherever You Wanna Go,” which finds her setting someone free and relieving them of their burden. By the time she gets around to the closing track, the dreamy “Gonna Miss You When You’re Gone,” she’s looking at the loss of a loved one from the point of the one who’s grieving, and suddenly those encouraging words are hard to find. There’s a little bit of everything in this collection. The acoustic assault of “Don’t Let Me Die In Florida” rocks hard, while “Get Ready Marie” finds Griffin reveling in innuendo and double-entendres as she plays the role of a randy would-be groom. She gets unabashedly sentimental on “Mom And Dad’s Waltz,” and, on “Not A Bad Man,” she expertly inhabits the skin of a former soldier whose attempt to once again be a normal “American kid” leaves him a stranger even to himself. By the time she gets around to the bluesy, showstopping ballad “That Kind Of Lonely,” it feels like there’s nothing Patty Griffin can’t do. American Kid is a tour de force of nimble songwriting and emotional performances. Make a place for it on the year-end lists now. For another take on American Kid, read critic Hal Horowitz’s review.